It is 1884. In Khartoum, General Gordon stands on the roof of his fortress as the city is besieged. He has vowed to fight the Mahdi to the death. At his side is the boy he rescued from the English dockyardslums - his reluctant last ally. Approaching with the Camel Corps is a young doctor who has joined the expedition to rescue Gordon. As the men make agonising progress across the desert, John Clarke struggles to be the hero of his imagining, while his abandoned wife, Mary, troubles his conscience. Back in London, as controversy rages over the expedition, Mary finds herself adrift and isolated. Her only release comes from laudanum, an addiction that will take her into Victorian London's darkest corners. 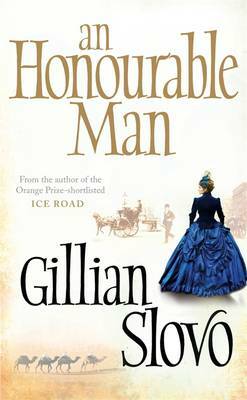 An Honourable Man is a novel of extraordinary power that combines the intimate and the epic, exploring the folly of Empire through the fine grain of human experience and emotion.